Why All the Buzz About Hybrid Cloud ERP? While cloud-based ERP systems have certainly taken off in popularity in the past couple of years, many businesses are still concerned about transferring their ERP to the web and an outside vendor. Whether those concerns are related to data security or questions about if a cloud-only solution can fully support your business, opting for a hybrid cloud ERP system could be the answer. A hybrid solution allows a business to adopt public cloud applications while also retaining or implementing on-site ERP resources. The flexibility of such a solution means that it’s rapidly gaining popularity within the enterprise software world. Rightscale’s 2016 State of the Cloud Survey found that last year hybrid cloud ERP adoption came up from 58 percent to 71 percent, and the hybrid cloud model is expected to continue its growth in the coming years. And with benefits like greater mobility, ease of installation and outside support, it’s not hard to see why hybrid cloud ERP is generating such buzz. With a hybrid cloud ERP solution, businesses don’t need to put all their eggs in one basket, and can straddle the line between off- and on-site enterprise systems. If you’re considering a move into the cloud, it could be the solution your business needs. Here are a couple of instances where hybrid ERP could be a great company fit. Hybrid cloud ERP is such a massively growing territory in part because it is amenable to businesses that already have some form of pre-existing software on site—a very common scenario considering that was the only option before the cloud became a presence on the ERP scene. A wide variety of affordable cloud-based applications integrates well with on-site options, allowing quick implementations and go-live processes with the affordability of a subscription pricing model. The cloud application will then allow businesses to become much more mobile and accessible, whether they are storing production data or transaction information on the web. Those reports will be available to any employee or stakeholder with a mobile device and internet access, making your traveling sales team’s jobs easier, and your process management even more fluid and capable. Hybrid cloud ERP is the perfect fit for businesses that find themselves growing quickly and need to adapt their enterprise systems accordingly. Cloud pricing models are generally much more attractive to the budgets of small and mid-size businesses as they are a month-to-month subscription based on seat numbers—which can be altered as necessary. If a business finds they only need certain applications or ERP modules, such as production planning or financials, a cloud vendor can install and integrate them only when the business needs them. This way, you can gradually build a hybrid cloud ERP solution over time that fits your budget and software requirements. By going to the cloud for these implementations, emerging enterprises don’t have to carry the burden of installation, hardware, training or support as they are all handed over to the vendor, who will ensure that the solution is maintained and upgraded properly. They want to keep your subscription every month, after all! 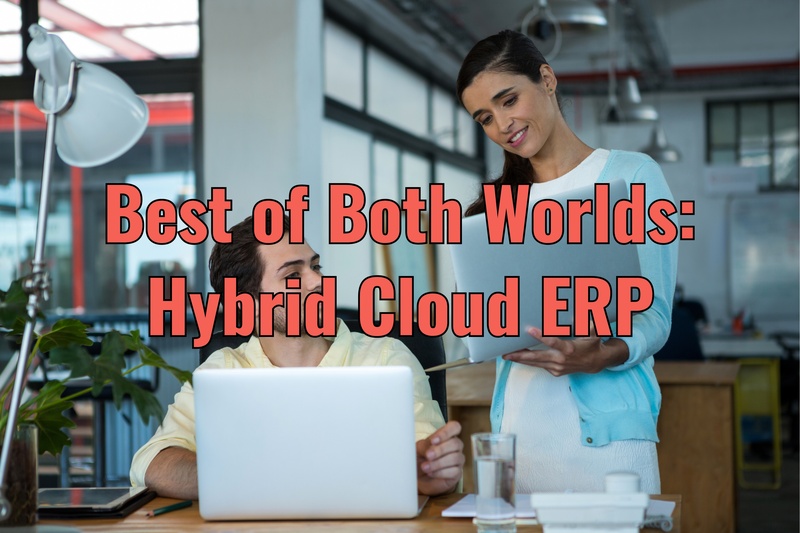 If you are a small and growing business, or your executive suite doesn’t want to make the significant investment into on-site hardware, but you already have existing systems on premises, hybrid cloud ERP could give you the best of both worlds. A hybrid cloud ERP solution allows businesses to connect data, information and operations management across the entire organization. Whether a transaction is occurring in the cloud or between machinery on site, a mixed ERP solution will have it covered. Say you are already running a multitude of on-site enterprise systems, like CRM and ERP, and you want to integrate the data from each system (you’d be crazy not to). A cloud integration platform, or iPaaS, will allow you to do just that, on a much more manageable scale than on-prem integration. You will get the scalability of a cloud platform solution without having to transfer your data off site at the same time. Instead, the cloud integration platform will be able to pull from your existing hardware, and provide the same mobility of information as a cloud solution—sales people can access critical data like shipping times and productions for clients while they are visiting clients off site, for example. For those companies that don’t want to make the headfirst jump into the cloud just yet, iPaaS is a great way to get familiar with hybrid cloud ERP. A big concern that keeps many companies away from investing in cloud ERP technology is perceived weakness when it comes to data security. Although that worry can be largely dispelled as cloud companies invest billions of dollars in information security and continue to innovate in that field, some businesses may have to keep some data in house (say, government or defense corporations) or they may just prefer to be responsible for their own protection. The hybrid cloud is the perfect answer for those organizations; it combines the security of private data with the convenience and higher cost effectiveness of a public solution. Along with a greater peace of mind when it comes to enterprise security, hybrid cloud ERP will allow greater flexibility when it comes to the structure of your enterprise system. If you have certain transactions or databases that you would rather retain on site, those can be kept under the business’ sole control, while features and functionalities more fitting for outsourcing can be merged into the cloud. For example, if you process a good amount of your transactions online or through an eCommerce platform, that functionality can be moved entirely into the cloud, where the capacity for data storage and accessibility is much greater and will be totally scalable depending on current business size and growth. However, as you process transactions and required shipping for orders, key customer data can still be kept on site and under company control if your business model requires it. The hybrid cloud ERP solution has been growing considerably in the enterprise world year after year, and it’s not hard to see why. It allows businesses to blend the convenience and security of existing on-site ERP systems with the mobility, accessibility and modern functionality of cloud-based technology. Whether you are part of an emerging business that doesn’t want to go all-in on the cloud, or an organization that has already invested in expensive on-premises software that is still capable and generating ROI, the hybrid cloud could be the option for you. For more information on hybrid cloud ERP and advice on how to start building your own blended enterprise software solution, contact an expert at Datix today. We are an Epicor Platinum Partner with 20 years of experience in both cloud and on-site ERP implementations, and have even built our own iPaaS product, Datix Unity. We know enterprise software, we know the cloud, and we can make them work hard for your business. 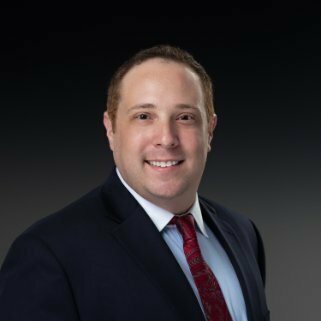 Matt, the Chief Executive Officer at Datix, is a thought leader in the ERP community and President of the Epicor Partner Council. He has a strong industry background that has allowed him to transform Datix into one of the top enterprise software consultants in the U.S.